Elizabeth supports Asylum Access’s technology and systems, ensuring that the organization has the operational resources it needs to achieve its mission and vision. She oversees the development of IT strategy, helps direct the selection and customization of new and existing systems, and provides training and support for staff around technology. 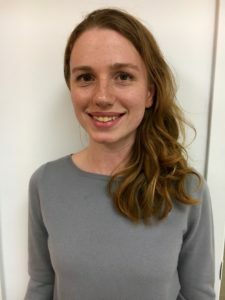 Prior to joining Asylum Access, Elizabeth worked as a Program and Technology Manager at the We Teach Science Foundation, where she implemented remote tutoring and mentoring programs that helped middle and high school students struggling with mathematics. Through management of and participation in We Teach Science’s technology projects, she built experience in systems and operations. Before joining the nonprofit world, she conducted astrophysics research at a variety of institutions, including NASA’s Jet Propulsion Laboratory and University of California-Santa Cruz. Elizabeth graduated with Bachelor of Science in Astronomy and Physics from The Ohio State University.